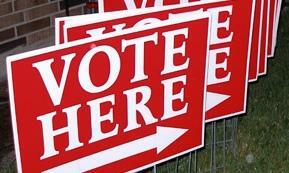 Tonight, candidates for three state House and two state Senate districts will meet in Lansing for a candidates’ forum. These public events are fairly routine in the weeks leading up to a big election, but this one puts a twist on the usual format. Current State’s Kevin Lavery reports that the candidates who’ll face this group of questioners will not be getting their vote on November 4. This forum will be run by middle and high school students from grades 7 through 12. There may be one or two 18-year-olds there, but for the most part, these will be kids too young to vote posing tough questions about the things that matter to them. The event is co-sponsored by Peckham, Incorporated in Lansing, where the forum will be held, the Peace and Prosperity Youth Action Movement and Michigan’s Children. This event in Lansing will be the third of four statewide forums hosted by Michigan’s Children. "Monday Morning Quarterbacking" around the state involves more than football today. Michigan’s main Gubernatorial candidates squared off in a town hall style debate last night. Republican incumbent Rick Snyder and Democratic challenger Mark Schauer appeared before a TV studio audience of undecided voters in Detroit. Viewers in mid-Michigan saw the town hall on WKAR-TV. 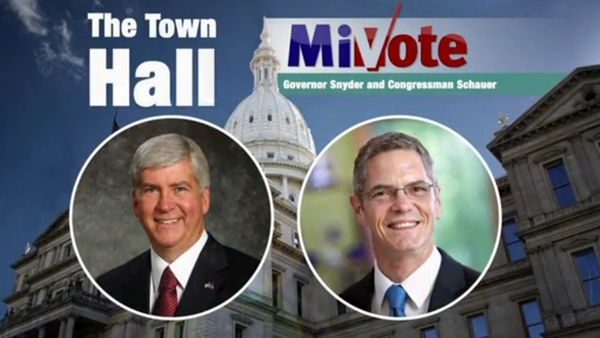 Featuring Republican Governor Rick Snyder and Democratic Congressman Mark Schauer.